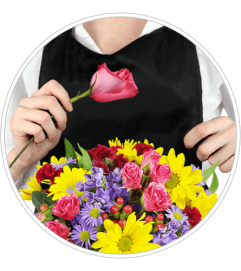 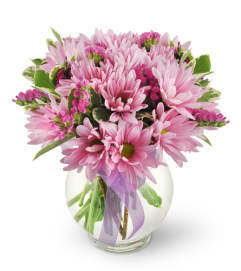 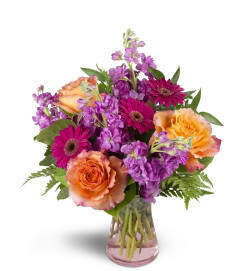 Make your first impression a lasting one with our First Impressions bouquet. This exquisite, elegant arrangement includes roses, gerbera daisies, and mums and will definitely give her something to remember you by. 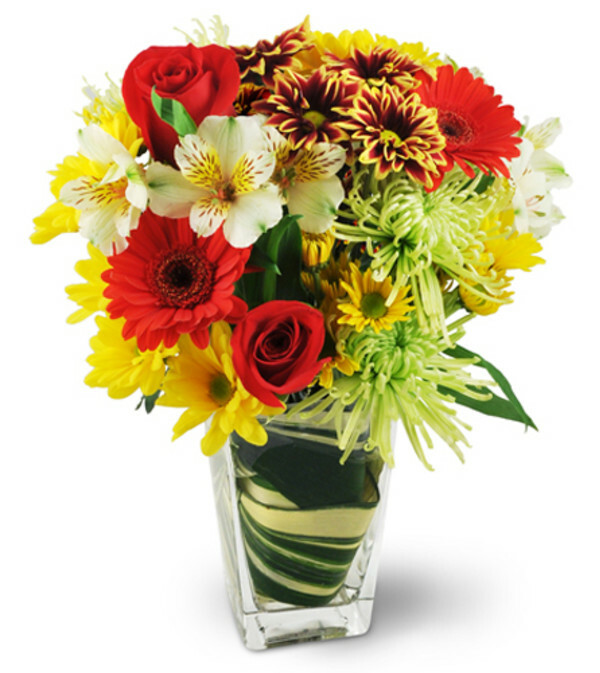 Red roses, gerbera daisies, alstroemeria, and an assortment of beautiful mums are carefully arranged with variegated aspidistra in a tapered glass vase.